The charming city of Ljubljana hosted an inspiring meeting of European basic income experts and activists end of July. 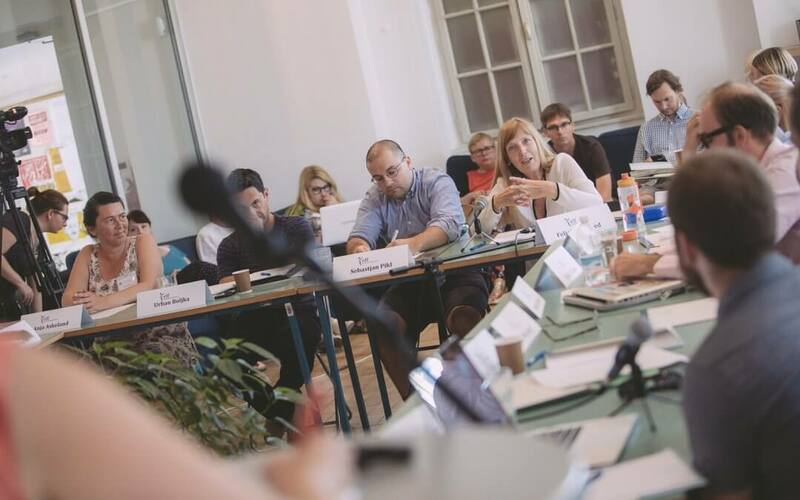 On Friday, 21 July UBIE co-organised an expert workshop with the title “Basic Income for Europe”, together with the NOVUM Institute and the European Liberal Forum. 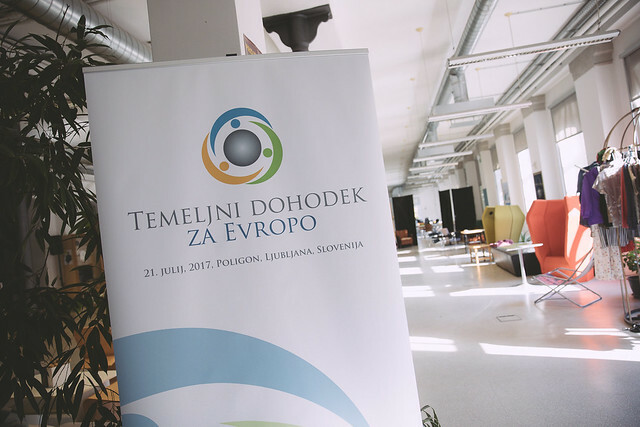 They discussed in-depth on partial basic income proposals for the European level with a focus on concrete legal changes, possible economic and social outcomes. This was rounded up by a review of ongoing and planned pilot projects from various European countries. Heikki Hiilamo (Finland) showed first results and political backgrounds of the Finnish experiment. On Saturday and Sunday, 22-23 July, about 25 members of Unconditional Basic Income Europe came together for a creative working weekend in the highly inspiring co-working space “Poligon”. The aim of the meeting was to advance on joint projects, prepare campaigns and work on organisational development. Topics included Social Media, applying the Theory of Change concept for UBIE campaigns, plans for a Eurodividend conference, a concept for a new European Citizens Initiative or a campaign idea on a European Child Benefit.